Did you know you can make money from home transcribing audio files? It’s a simple concept and it’s not as grueling as you might think. I’m going to tell you exactly what transcribing is and how to make money transcribing. I will also share a list of online transcription jobs. I will even share a hack that will make your transcribing speed soar through the roof. The time it takes to transcribe one audio hour with this method can be easily shaved down to 1.5 hours or less. It’s so easy that you will laugh when you hear it! I have transcribed audio in the past and at the time, it wasn’t super easy! Had I found this little know hack back then, my career may have stayed in the transcription field. You would think that with the advancement in technology, transcribers would no longer be in high demand. But it is likely that there will always be a “middle man” (transcriptionist) needed to fill this hole. Online transcription jobs are still plenty and can help you earn a decent amount of money from home. Transcribing is not the only work from home job that’s great for beginners. 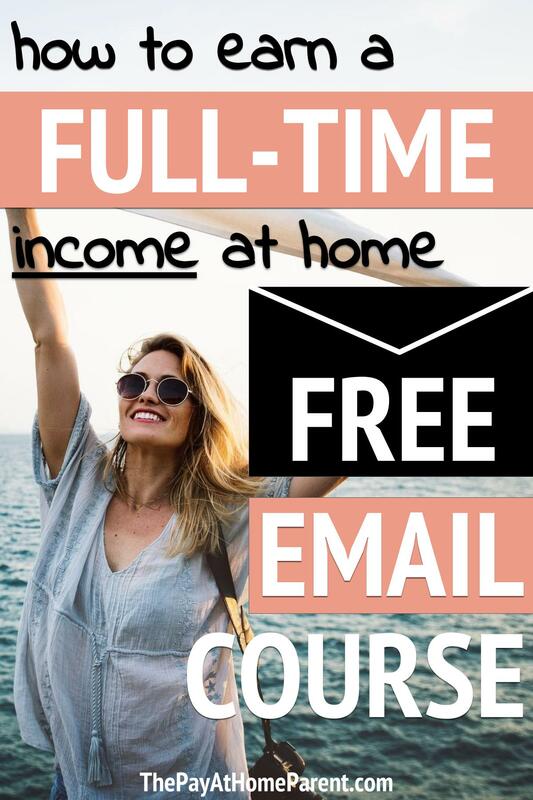 Be sure to look at this list of home business ideas, small business ideas and this list of side hustles to see what other great opportunities are available. Online transcription is the process of listening to audio files and transcribing (or writing/typing) them to text exactly as heard. This can be difficult for those who are not fast at typing or who are not great at listening. So you typically do need both of these skills to transcribe (or do you?). Don’t forget that I have one crazy tip for online transcription. In fact, I’m using it right now and let me tell you it makes my life so much easier. It also makes transcribing amazingly simple – though still something that needs to be learned properly. If you are serious about transcribing be you can learn more about a career in transcription with this free mini-course. You will not be sorry that you signed up and you’re sure to learn a lot about freelance transcription and whether it’s right for you. Let’s go over some of the online transcription jobs that could help you earn your way to a part-time or full-time career at home. Most transcribers start with generic transcription gigs to build experience. But the real money making audio transcription jobs are found in the medical and legal fields. We’ll talk more about those later. There are still office positions today for transcribing court or medical documents, but the best transcription jobs are the ones that you can accomplish on the couch while sipping a cup of coffee. No really, you actually can do this! The only requirement for remote transcription jobs is that you have a laptop or computer, a reliable pair of earphones, a foot pedal (optional – to start and stop your audio) and a quiet place to work. There are many online transcription jobs that allow you to set your own schedule, including the minimum and maximum number of hours you work each week. There are three types of freelance transcription jobs: generic online transcription jobs for beginners, online medical transcription jobs and legal transcription jobs. We’ll go over each category briefly and list some specific places that you can find open opportunities in the field. Depending on your level of experience, you may be here searching for transcription jobs for beginners. Typically these opportunities are generic gigs and do not touch on the medical and legal fields. 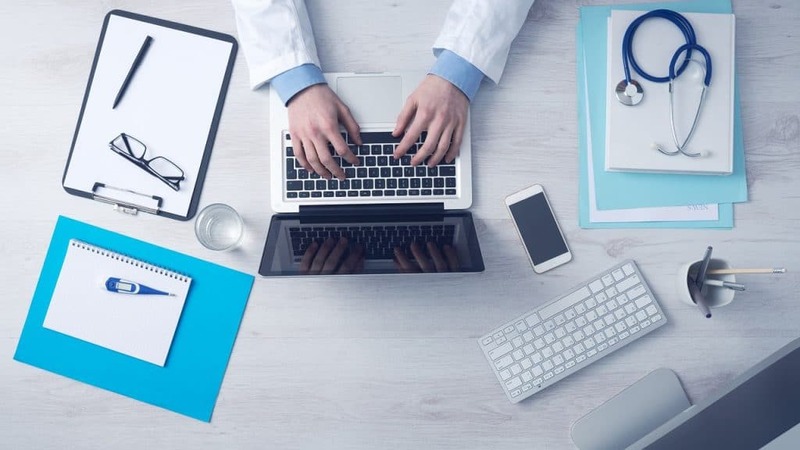 The main reason that it’s hard to jump straight to medical or legal transcription is because of the medical terms and legal jargon that you hear on those audio recordings. Those are something you will need to take an online course to be certified for. Here are the transcription jobs from home – no experience needed. Scribe – $5 to $25 per audio hour. 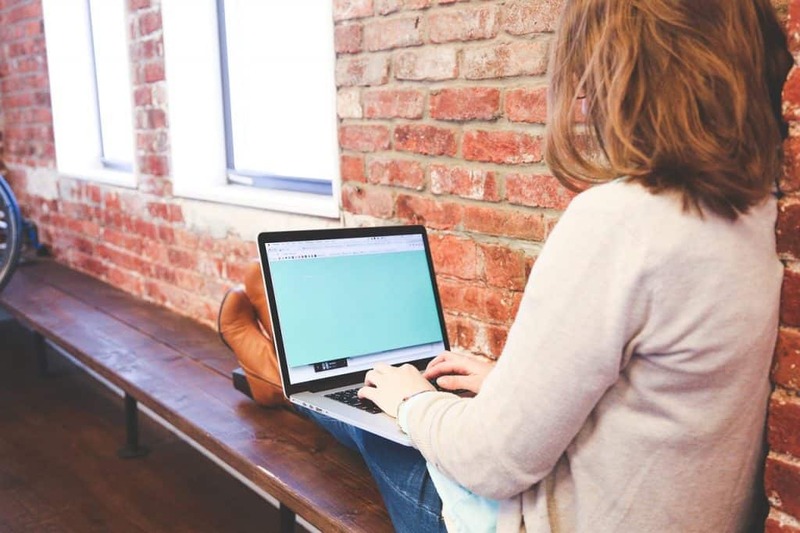 After taking an online course or spending time at an online transcription job, you should be ready to consider these medical transcription jobs from home. It’s true that home based medical transcription jobs can be taxing, but they are certainly rewarding! Once you’ve become certified as a medical transcriptionist and mastered medical terms, you are in a great place to work in medical transcription from home. Medical transcription work from home at its very basic level involves listening to Doctors or medical staff verbally record notes and then transcribe those notes into text files for documentation purposes. Remote medical transcription jobs abound since each Doctor’s office does not typically have enough work to hire a full-time staff to do the work. In this field, you can often contract multiple clients and set up your desired volume of work. Here are the best places to find medication transcription jobs from home. Indeed – salaries vary from $45,000 to $80,000. Glassdoor – hourly rates vary from $8 to $19. Zip Recruiter – salaries vary from $45,000 to $55,000. Legal transcription jobs are very much like medical online transcription jobs except that they are in a completely different field of practice. Online certification is required to land this type of position or client. Legal jargon needs to be learned prior to applying for legal transcription jobs from home. Here are the best legal transcription jobs from home. Indeed – salaries vary from $40,000 to $55,000. Glassdoor – rates not listed. Zip Recruiter – rates not listed. Remember that trick I talked about in the beginning of this page? Well here it is. It’s so easy to transcribe using this method! Under the Tools menu, select Voice Typing (see where this is going?). Select Click to Speak on the microphone icon. Listen to a short clip of your audio over headphones (then pause). Speak the clip clearly and watch as the words type into the Google Doc right before your eyes! Continue to listen to a portion and speak a portion until you have completed the audio file. This will cut your transcribing time down immensely, especially if you are not a fast/accurate typist to begin with. If you are excited about choosing an online transcription job that works for you, I hope that you are able to find an opportunity on this list. Work from home transcription jobs are difficult, especially in the beginning, but they can be very rewarding as you learn to master them. 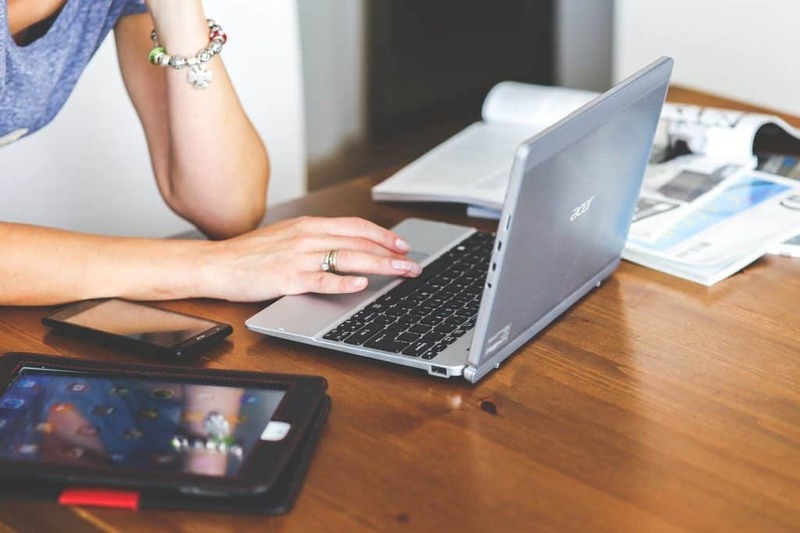 Transcribing from home is a fantastic way to avoid the crowds and traffic, ditch your 9 to 5 office job and enjoy mom life (or just plain working) at home. Let me know what you think of transcribing work in the comments! I would love to help you find the best transcribing home jobs available. Really want to do transcription so I can stay home and be soneone better, but I can’t seem to find any transcription job that is not a 1099. Someone help me!!!! It seems like the nature of the job! I’ve not come across a W-2 job that pays hourly for transcribing. It’s typically paid by the audio hour.